Download the latest .qpkg file from Google Drive, DropBox, OneDrive, or advanced users can build from source (see below). The .md5 file allows advanced users to verfiy that the file has not been modified in transit but is otherwise not needed. Log on to your QNAP QTS Desktop via the web interface. 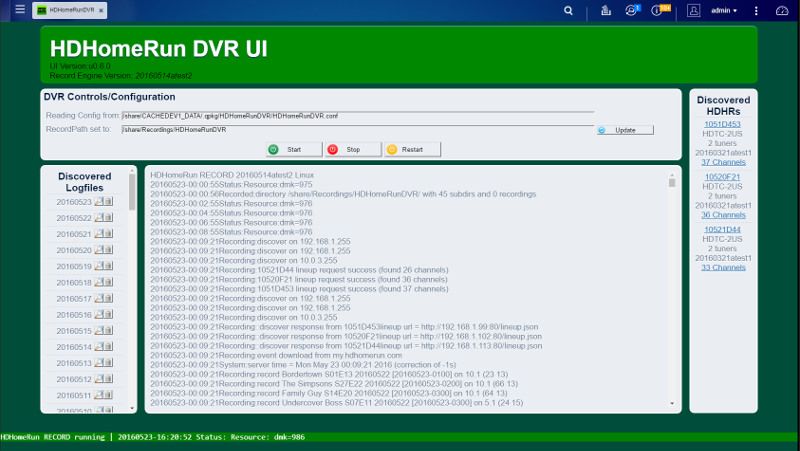 You can open these and be presented with the UI which allows you to browse the logs, see your HDHR devices, and see the status of the DVR engine. 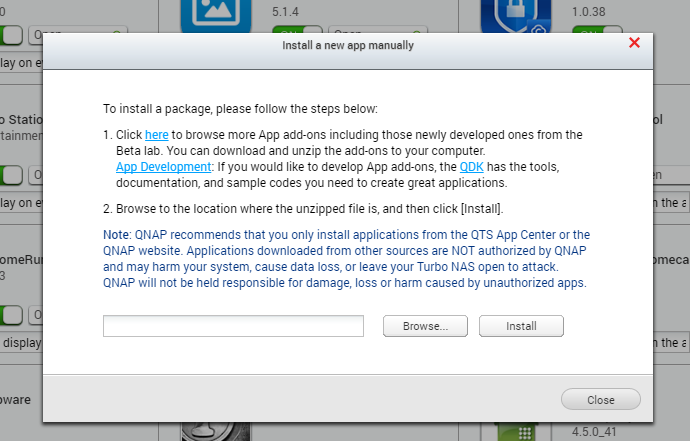 The windows installer for the QNAP NAS requires a lot of steps that are unnecessary and for some complex. It is also missing a number of features to integrate fully into the QTS Desktop, and provide startup/shutdown routines, etc. Thus I started up a quick project with the purpose to build a proper QPKG installer for QNAP to allow easy deployment of the DVR engine to QNAP users NAS boxes, while also adding some additional UI features to allow simpler configuration and status information of the DVR Engine. I'm making unofficial builds with the DVR engine included available via my various mechanisms shared above. License of the QDK sources is public domain. License of the HDHomeRun DVR Record Engine remains the property of SiliconDust and use of this QDK sources does in no way permit the user the right to redistribute the binaries without SiliconDust's permission and/or permit any breaking of SiliconDust's license restrictions on the DVR record engine. Last edited by demonrik on Mon Nov 26, 2018 8:05 am, edited 6 times in total. Some users have reported on installing that they don't get the UI at the QTS Desktop. I've not managed to replicate the issue and suspect a permissions issue with latest QTS desktop versions.. however because I cannot replicate I do not have a fix. Some have reported that the UI doesn't open. This is usually because the web server has been disabled, and you will need to enable it. If you get something - you have the error..
Header always append X-Frame-Options SAMEORIGIN "env=!share-iframe"
You can change this in the UI by updating the Record Path and then restarting the record engine. Last edited by demonrik on Wed Feb 13, 2019 1:40 pm, edited 9 times in total. The follow are instructions on how to build a QPKG using the sources in the project. Once you have cloned the package to your system ..
Last edited by demonrik on Mon Nov 26, 2018 8:04 am, edited 9 times in total. The Silicondust installer package for NAS will have done a few things to your NAS that we need to work on. The fastest and easiest way to do this is reboot the NAS. If you don't want to do this, SSH to the NAS and login as the Admin user. You will need to then move to the HDHomeRun share and stop the engine, i.e. This can be done either in the File Station or via SSH. For SSH - SSH to the NAS and login as the Admin user. You will need to then move to the HDHomeRun share and delete the engine, i.e. With the new QPKG installed you have a few things you can do with the data from the old installation. The first thing to do is to shutdown the new engine. If you just installed the QPKG then you will need to shut this down from SSH as the UI controls are blocked by the automatic loading of the record engine on package install or NAS reboot. With the engine stopped its time to change the RecordPath. The start the engine from the UI. If you are going to change the RecordPath from the default the first thing to do is to shutdown the new engine. If you are not going to change the RecordPath you do NOT need to stop the engine. Just simply move the folders under the SiliconDust created share (default is /share/HDHomeRun) to the default RecordPath shown in the UI. With the engine stopped you are now free to move all the recordings from the Silicondust share (default is /share/HDHomeRun) to your choice of directory and update the RecordPath in the UI. Once the files are moved you can restart the engine via the UI. Last edited by demonrik on Thu Jul 27, 2017 10:33 am, edited 4 times in total. If you want to modify the RecordPath in the configfile subsequent upgrades of the QPKG will honor those changes and not change the conf file. Currently UI is broken.. Will fix in the next update along with the ability to change the RecordPath from the UI. Thank you for taking this on! It's nice to have an actual package to wrap this up. Out of curiosity, was there any particular reason you chose to use a different recording directory other than the default that SD set? It sounds like you're going to provide an option to specify it, so I'm assuming this is probably hard coded to use your personal settings? That would make sense. Otherwise, just wondering why you'd pick a directory that likely the majority of users would end up having to go back and change. 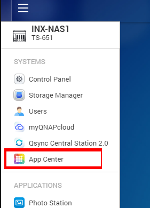 Recordings is a default share on QNAP systems. So rather than figure out how I can script the creation of a new one I decided to simply reuse one that exists on the system that nominally fits the use. TBH I was 50/50 whether to use Multimedia or Recordings. Creating a new HDHomeRun to me is completely unnecessary. Makes sense. I've only used a Synology before, so the QNAP I bought for this is still new to me and figuring out how it works is still a work in progress for me. I agree with your decision. I understand why SD is keeping things simple but ideally a program designed for a QNAP should use the built in QNAP defaults. Personally I use Multimedia and then point my Plex server to that directory but, as you said, it's a 50/50 decision whether to use the built in Multimedia or Recordings directory. And the value of the Record Path. 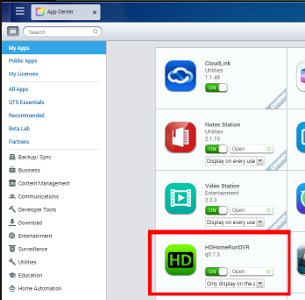 Also lists the HDHomeRun DVR engine that was installed.. Updated to allow the UI to set the RecordPath in the config file. At this time the UI does not support the stop/start/restart of the record engine, so you will have to do this yourself via either the AppCenter or on the command line. Also to make this work I've had to make the conf file world writable.. looking to see if I can avoid this for a future release. Next update will be to add the engine controls to make the updating of the path much easier. Just wanted to add my thanks to you for taking this project on. I just bought a TVS-471 and am excited to try out the qpkg solution you've been working on. Out of curiosity, i'd like to know of anyone's experience running Plex and the record engine on the same QNAP. I currently have been using the record engine and Plex on an old Dell OptiPlex 780 with a Core 2 Duo and that's been fine so i'd assume the i3 in the TVS-471 could handle things even better. Out of curiosity, i'd like to know of anyone's experience running Plex and the record engine on the same QNAP. I have no problem running Plex and the recording engine on my QNAP (TS-453 Pro). I have a TS-651, based on Celeron J which has both running well. However - I make sure I use direct play all the time so the NAS doesn't transcode.. And this is where things can go wrong because Plex isn't enabled to use the QuickSync Video engine to transcode, so it uses the CPU only. And if you do transcode you could run into issues where the CPU is overloaded if the record engine needs to record. If you do need to transcode then I would recommend you install the CodexPack under HybridDesk Station. This installs a version of ffmpeg which has QSV enabled and thus you can either use the automated transcode, or run the special ffmpeg via command line/scripts. I may look into that. I was planning to use MCE Buddy on a separate box to strip the commercials from everything and convert it to h.264 so I wouldn't have to transcode recordings in Plex. I do however, use the HDHR Viewer plugin in Plex to get live channels off network so I would still be transcoding for that purpose. Part of my goal is to share my cable subscription with a friend using this setup.